From 22 - 31 August the summer edition of Copenhagen's food festival Copenhagen Cooking is being held for the tenth time and the people behind Copenhagen Cooking are busy planning the programme. Over ten days, Copenhagen's restaurants, streets and lanes - as well as some rather unusual spots in town - will be bristling with gastronomic events. More than 150 unique events will be taking place and they will cater for all tastes, whether you're into a spit roast at one of the city's central squares or a gourmet dinner accompanied by a musical piece composed specially for the dinner. There will be both tried and tested events as well as brand new ones on offer on the festival programme, which has not yet been published. The events, Taste the World in Prague Boulevard, where a number of Copenhagen restaurants with international cuisine offer small dishes at special prices, and Nordic Taste where top restaurants from Scandinavia offer tastings at Gefionspringvandet (Gefion Fountain) and for the first time there will be a Nordic Taste Kids area. ”We are really looking forward to welcoming another summer edition of Copenhagen Cooking. 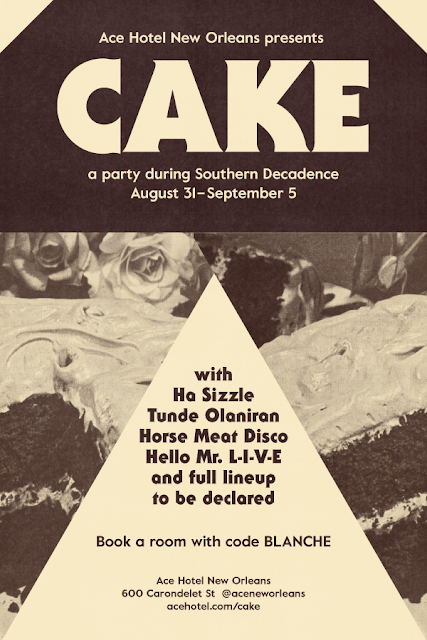 This year is particularly special to us because it's the tenth time we've opened the doors to a mecca of unique culinary experiences. Copenhagen Cooking is wide ranging and includes both popular public events as well as very elitist gastro events. A common factor they all share is that those participating offer a unique dining experience that is specifically designed for Copenhagen Cooking”, says Lasse Fridberg Bilstrup, Head of Development for Copenhagen Cooking. When Copenhagen Cooking opens its doors for the tenth time on August 22, once again - just as during the festival's winter edition - the focus will be on feeling, under the main theme of ‘Taste of Emotions’. The theme that emphasizes that food experiences and emotions are intertwined - interpreted freely by each of the festival's participants and event organisers. 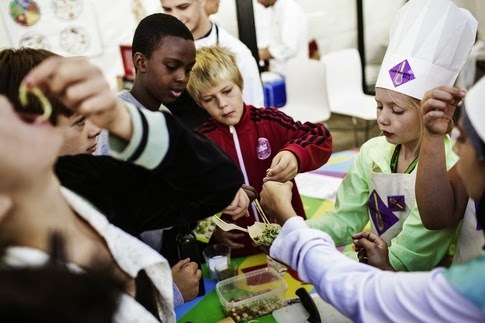 Other events on the programme are Cooking Kids, where children are allowed to compete in their cooking skills, the Risotto World Championships in Torvehallerne (food market) and a food walk in connection with Ecco Walkathon's charity route. The programme also includes unique gourmet experiences at Copenhagen Airport; a pop-up restaurant that will challenge your view of the world for a few moments through taste, imagination and dialogue. Once again this year, Copenhagen Cooking's events will be divided into a number of sub-categories, which offer unique food experiences for everyone, whether you are into large, public events or high-level gastronomy. Interested parties can find events under categories such as: ‘Nordic Summer’, ‘Gourmet experiences’, ‘Hidden places’ and ‘Kids’ Cooking’ etc. Basically, you can find everything from a dinner at a Michelin restaurant to a culinary experience taking place in an unusual place in the city that does not usually host dining experiences. The first part of Copenhagen Cooking's programme will be published in mid June on: www.copenhagencooking.com. Copenhagen Cooking, arranged by Wonderful Copenhagen and a number of the city’s gastronomic players, has existed since 2005 in an August edition and since 2011 in a winter edition. Copenhagen Cooking is a tribute to the country's food culture, Nordic cuisine and our local produce. 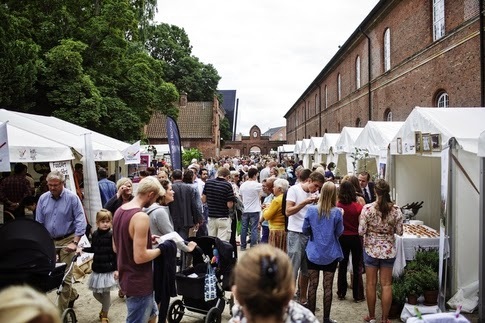 Copenhagen Cooking's summer edition takes place next time from 22 - 31 August 2014.